You may be inching closer to finalizing your divorce but the work of securing your financial future is just beginning. We recently asked financial experts what they think all divorcés need to do to protect themselves financially after a split. See what they had to say below. The first step toward financial independence is balancing your income with your expenses, said certified divorce financial analyst Eva Sachs. Sit down and figure out how much money is coming in (through work, alimony and/or child support) and then assess how much of that is being spent on living expenses. "Think of it as a spending plan rather than a budget," she said. 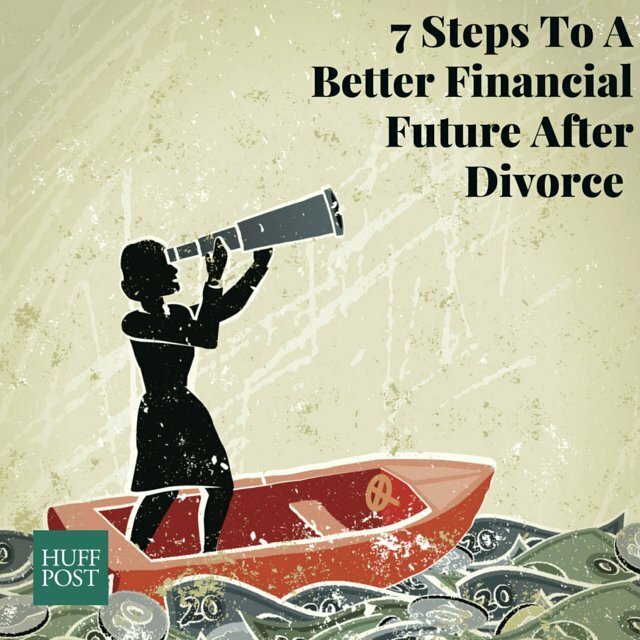 "Knowing where your money goes is key, especially after divorce. There will be many new expenses you might not have thought about prior to your divorce; this is a critical time to refrain from spending money you don't have." 2. Revise your beneficiary designations. Somewhere at the top of your to-do list should be updating the beneficiary on your life insurance and retirement accounts, said Emily McBurney, an attorney and qualified domestic relations orders (QDRO) expert. "Review all of your accounts and insurance policies and change the beneficiaries. A divorce does not automatically terminate your former spouse’s rights to be the beneficiary on your retirement plans, bank accounts, and life insurance policies –- even though your divorce decree might say that your former spouse has waived all rights to the benefits," she said. "You will need to formally submit a change of beneficiary form to each financial institution. Otherwise, the benefit will be paid to whoever is listed on their forms at the time of your death -- regardless of your divorce." 3. Revise your will, too. While you're updating your beneficiary designations, don't forget to revise your will, said certified divorce financial analyst Donna Cheswick. "Meet with an estate planning attorney to discuss your state’s laws regarding possible updates to your will, power of attorney and advanced directives," she advised. "You want to be sure that your former spouse is no longer entitled to any distribution in the event of your death. And if your settlement agreement requires one party to maintain life insurance on the other, then there needs to be a method in place to be sure this is actually occurring. Just because the former spouse says they will do something, doesn't mean that they are following through." 4. Create an emergency fund. When you were married, you knew you could rely on your spouse if you lost your job, faced a medical emergency or had an unplanned home expense. If something unexpected happens now, you're effectively going it alone. To help protect yourself, Sachs recommends creating an emergency fund that you continue adding to whenever you have the chance. "An emergency fund should equal three to six months of your living expenses," she said. "If you can swing it, I recommend six months because you're now single and need an even bigger cushion if you are not able to work or an emergency occurs." 5. Review your divorce documents and make sure assets have been transferred. The divorce may be finalized but your work isn't really complete until you've ensured the assets awarded in the settlement have been distributed, said Cheswick. "I can't tell you the number of people who will contact me months (and unfortunately even years) after their divorce is finalized and there are still outstanding items which have not been resolved," she said. "Remember that the agreement is a legally binding contract that you both signed and agreed to uphold. If one party is failing to comply with the terms of the contract then the other party has every right to take steps to ensure their compliance including going back to court to have the agreement enforced." While it may pain you to take on yet another financial expense during or after your divorce, consulting with a divorce financial professional -- a certified divorce financial planner, for instance -- can help you sort through the complexities of your divorce and set you on the right path for an independent future, McBurney said. "Most financial mistakes that people make during and after divorce could easily have been avoided if they had sought professional assistance," she said. "Financial planners can help you figure out how to live within your new financial realities post-divorce and develop strategies for building back your financial security. And tax advisors and CPAs can help you avoid making expensive (and very common!) tax mistakes (related to things like asset transfers, retirement, spousal and child support)." 7. Keep saving for retirement. Now that the divorce process is almost finalized, Sachs suggests you look to your future and start to maximize your retirement savings. "Don't let divorce stop you from planning for your future," she said, "Investing in your 401K plan will allow you to save for retirement. You can begin by saving a small amount each week and then let it build slowly or make payroll contributions that match your employer contributions. Don't stop thinking of the future!"